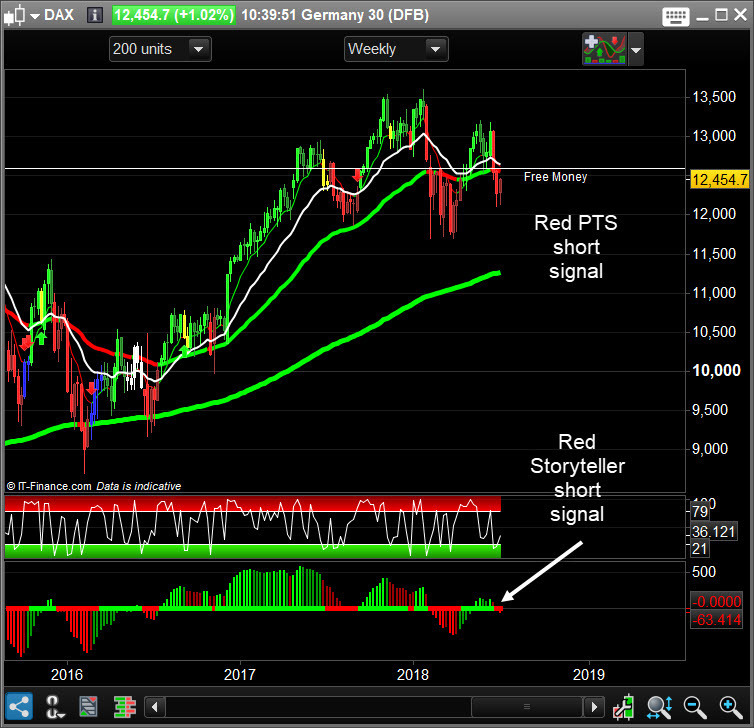 We have seen a short signal on the Weekly time frame of the Dax, but this morning we are seeing strength. Is this strength to short into or, are we seeing a new trend? On this update we piece together the story so far. 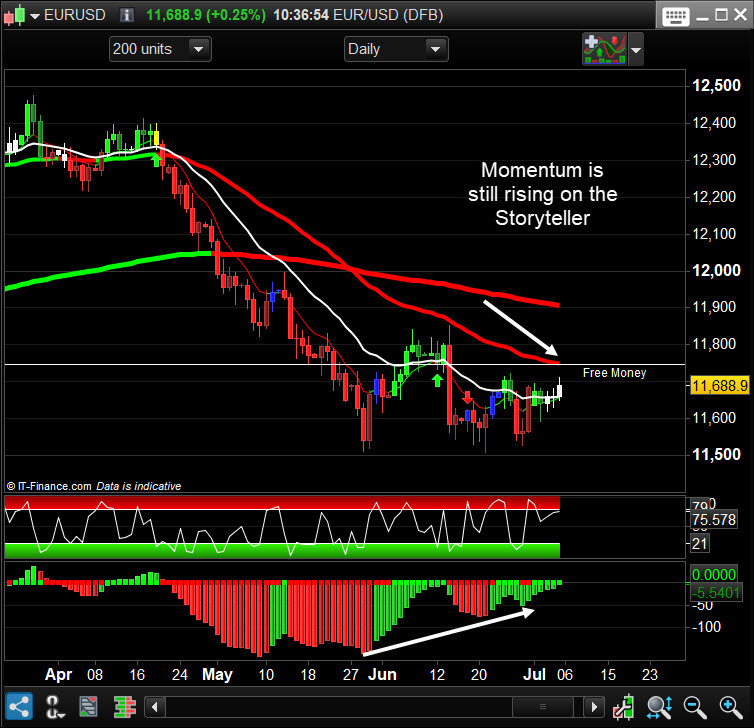 EURUSD is holding the lows with momentum rising on the Storyteller. 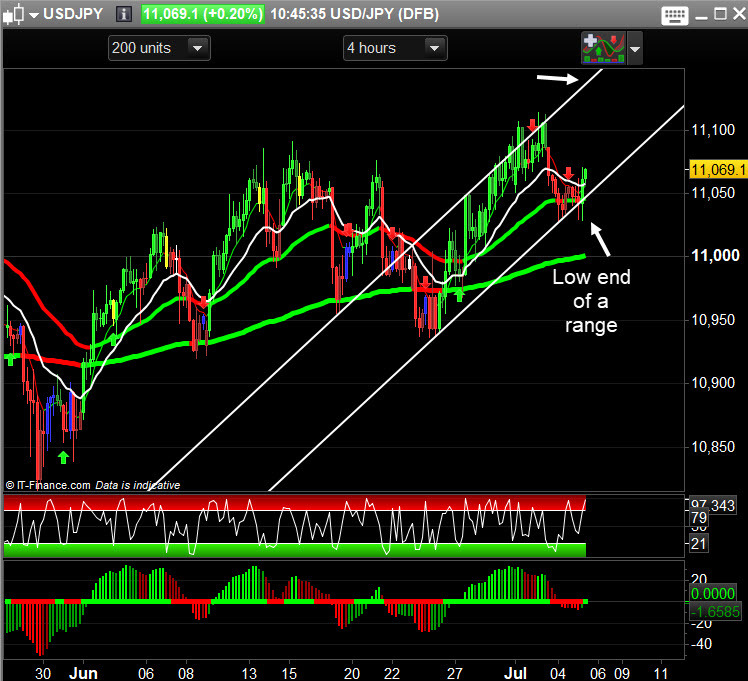 How far this market can push higher depends on the Dollar index drop. We are looking at 11747 as a potential target. 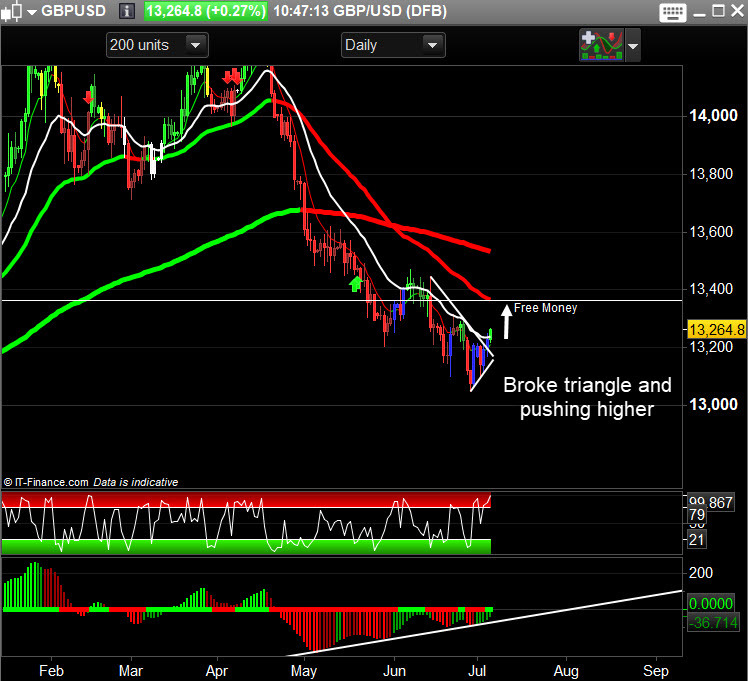 Even though Cable has broken out from it’s triangle this morning, we have to be careful with over head resistance at 13300. The Weekly PTS is still red and below the moving averages, so the path of least resistance is down longer term. Weekly Momentum trigger has fired short. 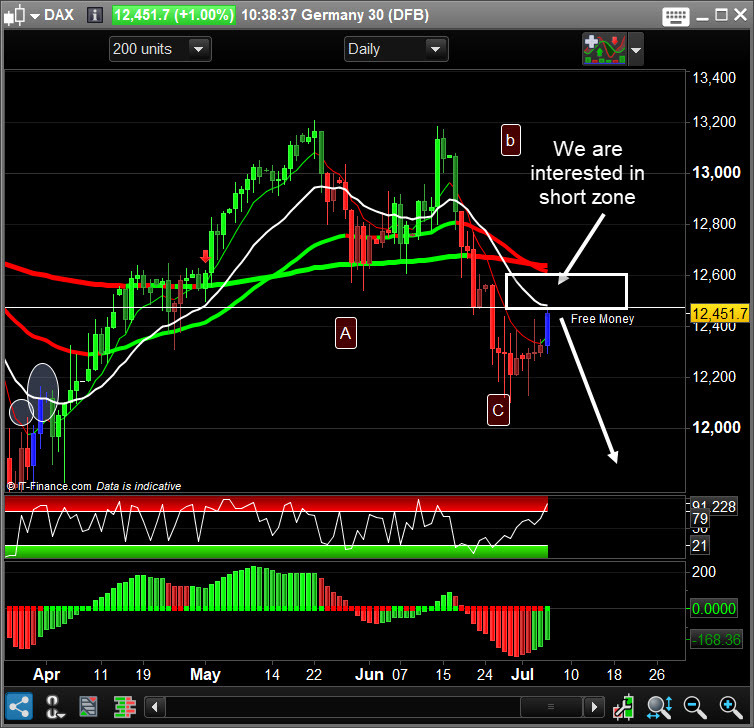 This could end up being a big move in the Dax. We need to look for short selling signals in the smaller time frames. While I was on IG TV yesterday I spoke about the bounce in Gold and how far this market could go higher. This morning it’s struggling to get anything going. We need to see the low Pro-OBS reading hold and then for price to push higher. Gold has a lot of work to do to see a big trend change. Currently a slow low volume market. The Daily is still green on the PTS but the Storyteller is not confiming higher prices yet. Waiting for some clear direction. 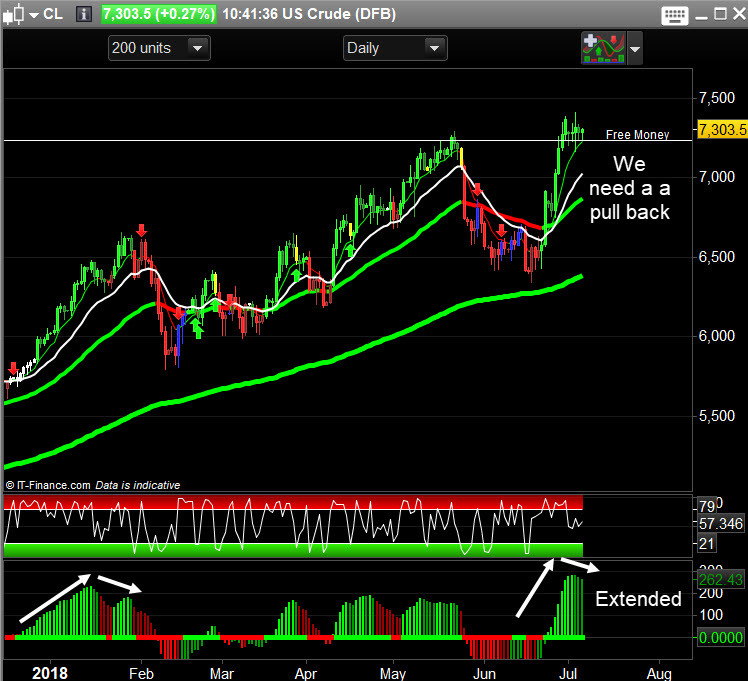 We have had a lovely move higher in Oil but maybe we have gone up too quickly. 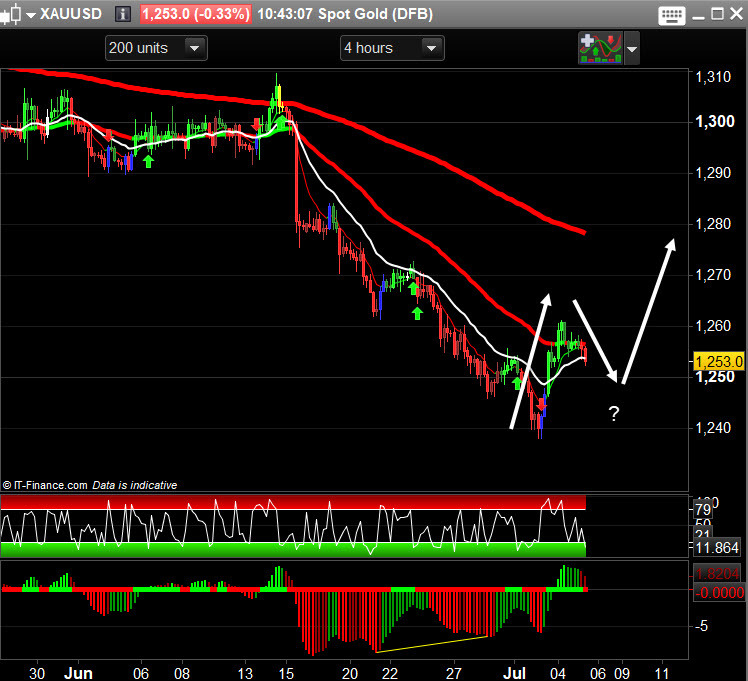 The Weekly storyteller is now showing a 3 wave short divergence. The daily Storyteller is overbought. The above charts, images, copy, and video belong to Trading College. Photocopying and further distribution of this information are strictly prohibited. The information contained in the service is expressed in good faith. Trading College service is purely educational and is therefore not regulated by the Financial Conduct Authority.